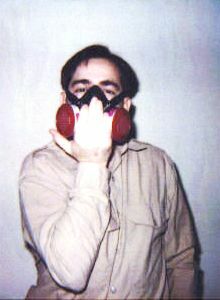 Negative and Positive Respirator checks performed by ANILINE ENVIRONMENTAL President Steve Pressman in 1992. ANILINE ENVIRONMENTAL is the leader in respiratory protection safety. THE ANILINE MODULAR RESPIRATORY PROTECTION PROGRAM presents the use and maintenance of NIOSH/MSHA approved respirators in a logical manner. Your ANILINE ENVIRONMENTAL industrial hygienist will specify the proper respirators for your facility to assure maximum safety for your personnel. 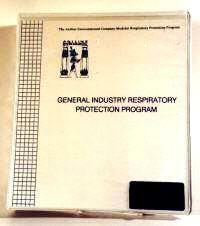 The respiratory protection training given to employees instills conscientious use of their personal respirator. 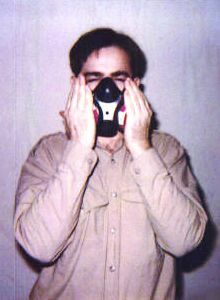 ANILINE ENVIRONMENTAL has the capability to provide both quantitative and qualitative respirator fit testing. ANILINE ENVIRONMENTAL technicians test Class "D" breathing air systems used for patient therapy in hospitals and for supplied air respirators (SARs) used to protect workers in contaminated environments. We can provide consultation to properly specify the necessary breathing air system components to provide comfortable sweet smelling breathing air for industrial respirators and to meet the exacting requirements of hospital installations. 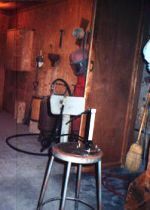 This page, and all contents, are Copyright © 2000 & 2003 by ANILINE ENVIRONMENTAL, Cleveland, Ohio USA.